현계산 기슭의 작은 골짜기를 끼고 펼쳐진 곳에 있는 절터이다. 발굴조사 결과 신라 후기인 9세기경에 처음 지어져 고려 초기에 확장·보수되어 조선 전기까지 유지된 것으로 밝혀졌다. 절터에는 중문터, 탑, 금당터, 강당터, 승방터, 회랑 등이 확인되었는데, 금당의 규모는 앞면 5칸·옆면 3칸으로 2층 건물이었을 것으로 보인다. 중문지 북쪽의 3층석탑(보물 제750호)은 처음 세워질 때 만들어진 것으로 생각되는데 신라 석탑의 전형적인 양식을 따르고 있다. 탑의 동쪽에는 원공국사 지종(930∼1018)을 위한 원공국사승묘탑비(보물 제78호)가 있는데, 1025년 최충이 문장을 짓고 김거웅이 글씨를 썼다. 탑비와 함께 원공국사승묘탑(보물 제190호)이라 불리는 부도가 있었는데 현재는 경복궁 뜰 안에 옮겨 놓았다. 거돈사는 고려 초기 불교계의 중심이었던 법안종의 주요 사찰이었지만, 고려 중기 천태종이 유행하면서 천태종 사찰로 흡수되었다. 거돈사는 신라말 고려초의 절터로서 보기 드문 일탑식 가람으로 주목할 만한 곳이다. 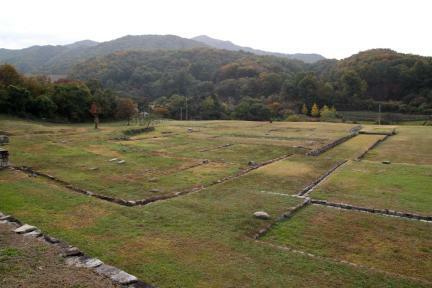 Located in a place surrounded by a small valley at the foot of Hyeongyesan Mountain, this used to be the site of a temple constructed around the 9th century during the late Silla, expanded-repaired in the early Goryeo, and kept operational until the early Joseon Dynasty. The sites of the middle gate, pagodas, main hall, lecture hall, rooms for monks, and wide corridors were discovered, and the structure of the temple is believed to be a 2-story building with 5 front rooms and 3 side rooms. 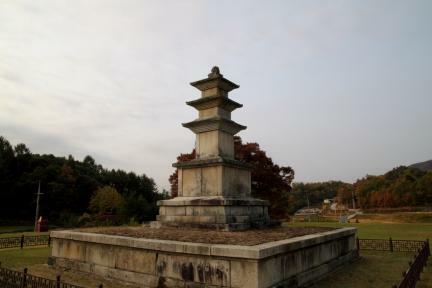 The Three-story Stone Pagoda (Treasure No. 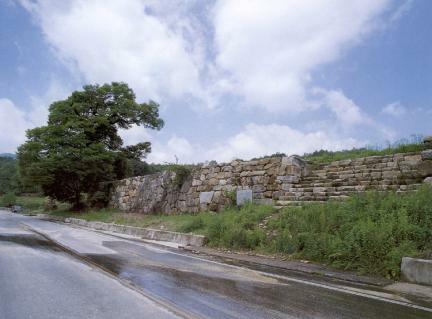 750) north of the middle gate is assumed to have been constructed at the same time the temple was built, following the typical construction style for the pagodas of the Silla Period. On the east of the pagoda is a Stele for State Preceptor Wongong (Treasure No. 78), whose inscription was composed by Choe Chung (1025) and whose calligraphy was done by Gim Geo-ung. 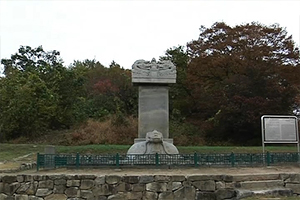 The pagoda, which used to stand next to the stele, was moved to Gyeongbokgung Palace. 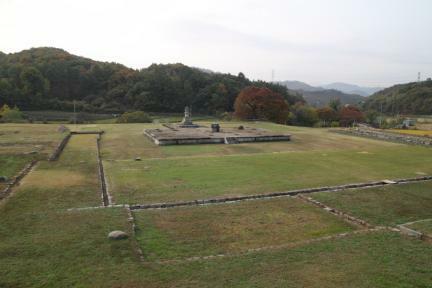 Though Geodonsa Temple was constructed, becoming the main temple for Beoban Order when its teaching was popular among the people during the early Goryeo Dynasty, it was also accepted as the branch of the temples for the Cheontae Order when it was pervasive during the mid-Goryeo period. 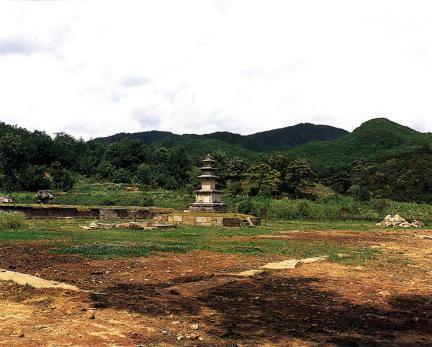 Constructed on the mountain site, Geodonsa, which holds lots of relics, is peculiar since it had only one pagoda instead of the two as was usual in temples from the late Silla to the early Goryeo Periods.